READING, Pa. - The Richmond Flying Squirrels could not overcome two early errors and a season-high 13 strikeouts, falling 5-1 to the Reading Fightin Phils on Saturday night at FirstEnergy Stadium. 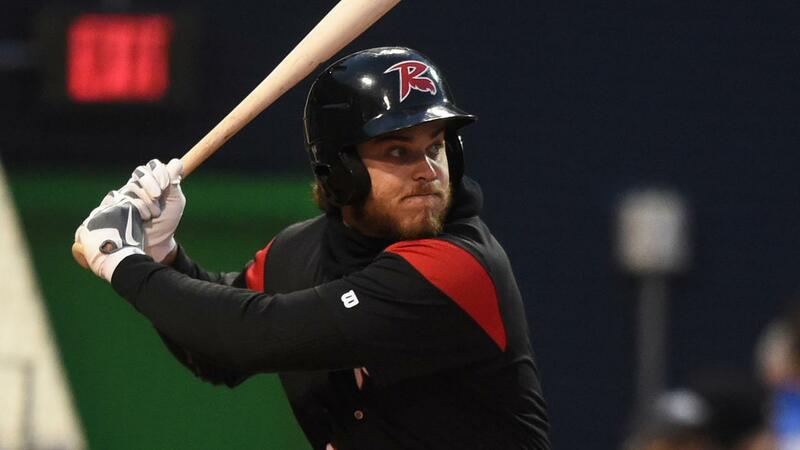 Reading (5-2) took advantage of an error in the first inning to start the scoring against left-hander Conner Menez (Loss, 0-1). Mickey Moniak reached first on an error by Jalen Miller , stole second and later scored on a double by Darick Hall. The Fightin Phils plated another run in the third. After Adam Haseley reached on an error by Miller-his second of the game-Moniak singled to put runners on first and second. Following a walk that loaded the bases, Hall grounded into a fielder's choice to bring in Haseley to give Reading a 2-0 lead. Menez allowed two hits, struck out six and walked two across 4.2 innings. The southpaw has not allowed an earned run across his first 9.2 innings this season. Meanwhile, Ramon Rosso (Win, 2-0) kept Richmond (4-3) off the scoreboard. The right-hander scattered four hits in his 5.1 innings, striking out seven without issuing a walk. Reading tacked on three more runs in the sixth. Following a one-out single from Cornelius Randolph, Luke Williams doubled down the left-field line to make it a 3-0 game. Two batters later, Williams got caught between second and third after a pitch in the dirt. Richmond catcher Hamlet Marte threw behind him to second, but Williams took off for third, beating the relay throw. Then, Williams broke for an home plate, which was left uncovered, beating third baseman Jonah Arenado down the line to score Reading's fourth run. Finally, after Austin Bossart walked and moved to second on a wild pitch, reliever Luke Leftwich doubled to right-center-his first career hit-to cap the three-run inning. The Flying Squirrels got a run back in the eighth. After Ryan Howard singled to lead off the frame and moved to second a wild pitch, Miller shot a single to left field to bring in Howard and cut the deficit to 5-1. Miller finished the game 3-for-4 with an RBI and a stolen base, marking the first three-hit game this season for a member of the Flying Squirrels. Richmond and Reading wrap up their series at FirstEnergy Stadium on Sunday at 2:15 p.m., when right-hander Adonis Medina (0-0, 1.80 ERA) starts for the Fightin Phils against Flying Squirrels left-hander Garrett Williams (0-0, 0.00). The Flying Squirrels Pregame Warmup begins at 1:45 p.m. on Sports Radio 910 The Fan. The Flying Squirrels return to The Diamond next Thursday to begin a six-game homestand. For tickets or more information, call 804-359-FUNN (3866) or visit SquirrelsBaseball.com. For tickets or more information, call 804-359-3866 (FUNN), visit SquirrelsBaseball.com/Tickets or stop by the Flying Squirrels box office.